The Devonport peninsula is a special place – a vibrant seaside community known for its picturesque tātahi (beaches), stunning maunga (mountains) and thriving shore, land and migratory birds. 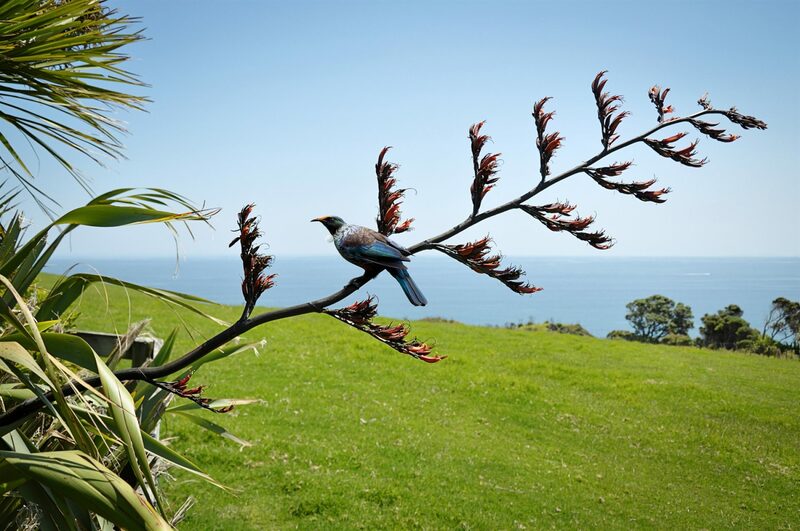 The Devonport peninsula is part of the North-West Wildlink, a vital corridor for native birds as they fly from the Waitakere Ranges in the west to the islands of the Hauraki Gulf and back. These habitats act as stepping stones where wildlife can travel and breed safely be­tween the conservation hotspots of the islands and the ranges. Our community are joining together to work at protecting and enhancing these features, creating backyard havens and pest-free halos around the shoreline and reserves. Numerous projects are contributing to the Restoring Takarunga Hauraki plan to preserve and improve the biodiversity of the area. Introduced predators, such as rats, are taking a toll on New Zealand’s native birds. Predator Free NZ estimates 81% of New Zealand birds are endangered. As advocates of the Predator Free 2050 initiative, Ngāti Whātua Ōrākei are committed to protecting New Zealand’s native bird species and want to see their populations increase. To help support the efforts of local volunteer community groups and in partnership with Auckland Council, Ngāti Whātua Ōrākei have provided Devonport peninsula residents with a free rat trap and motel set. * Restoring Takarunga Hauraki also have Victor rat traps and wooden tunnels available for those on the Devonport Peninsula who may want to join the rat trapping project. * Ngāti Whātua Ōrākei have provided 1500 T-Rex rat traps and 1500 Evo Ambush motels to be used by residents on the Devonport peninsula. This number is based on a target ratio of one in five homes as recommended by the Auckland Council Biosecurity team. Traps and motels will be distributed on a first in, first served basis, one per household.